KCAD: Sustainable Culture is all about empowering students to use their work to impact change in our community and globe. The Fall 2017 Sustainability and Design class did this through peer reviews of the work seen around our campus, and used this as an opportunity to support our fellow students. Their goal was to help create a stronger community at KCAD while also cultivating a stronger future for the ones that will follow. 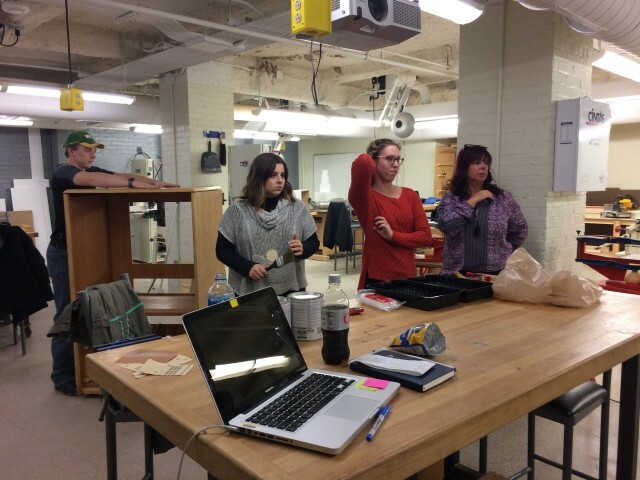 The class explored peer work throughout different majors at KCAD. From there, they interviewed artists, photographed their works, and developed a summary of the project and artist through words and visuals. 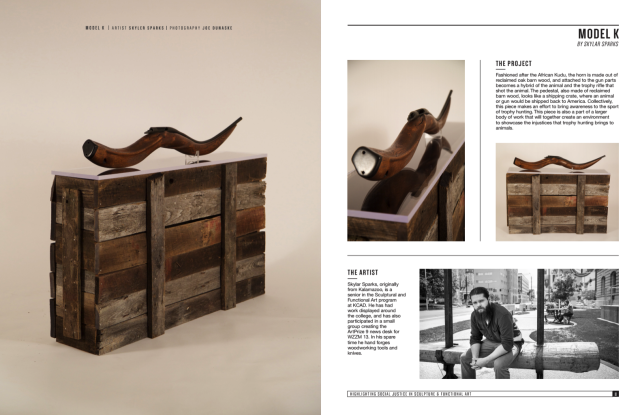 Then, they created KCAD: Sustainable Culture, Vol. 1. To see it online, click here . 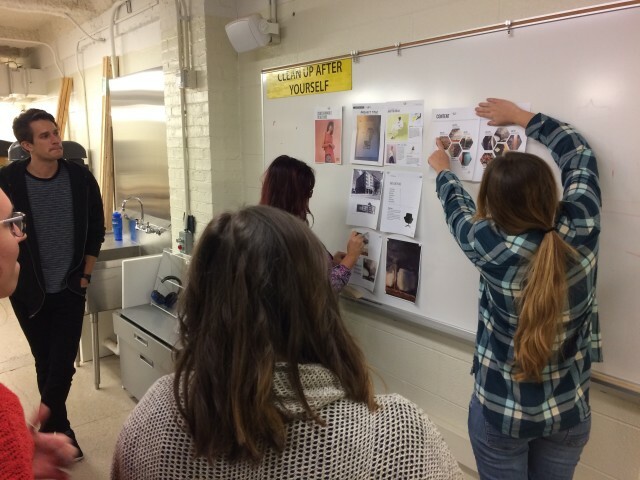 After the magazine was produced, the class held pop-up stands with free coffee and magazines for students around KCAD. The class hopes this project will have more volumes in the future with other students and classes.